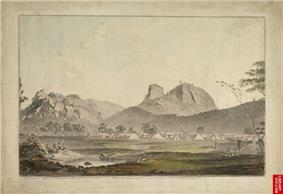 The Battle of Sholinghur was fought on 27 September 1781 at Sholinghur, 80 kilometres (50 mi) West of Chennai (Madras), between forces of the Kingdom of Mysore led by Hyder Ali and East India Company forces led by General Eyre Coote. Haider Ali's forces were surprised by the company forces and they were expelled from the Carnatic with heavy casualties. 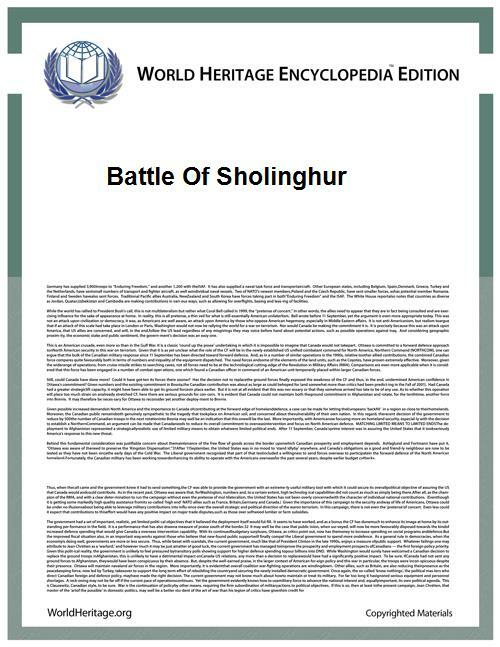 A battle honour, "Sholinghur", was awarded vide Gazette of India No 378 of 1889, which was awarded to fifteen units, seven of which are still in existence today. The battle honour is considered repugnant. ^ a b Singh, Sarbans (1993). Battle Honours of the Indian Army 1757 - 1971. New Delhi: Vision Books. pp. 102–103. ^ Vibart, H.M. (1881). The Military History of the Madras Engineers and Pioneers, from 1743 up to the present time (Volume 1). London: W.H. Allen & Co. pp. 158–159. Retrieved 3 November 2013.